Julie Vos High Fashion Jewelry for sale affordable pricing ! 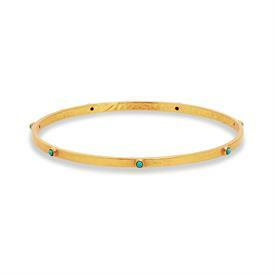 ,Turquoise Bangle. 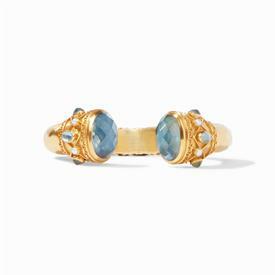 Lightly Hammered 24K Gold Plate With Turquoise Gemstone Stations. Medium, 8"
,Turquoise Bangle. 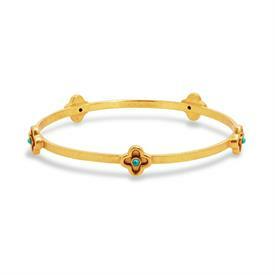 Lightly Hammered 24K Gold Plate With Quatrefoil Flower Stations With Turquoise Accents. Medium, 8"
,Iridescent Rose Statement Earring. 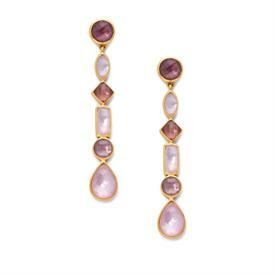 Alternating Shaped Soft Glass Gemstones & Mother Of Pearl Doublets In 24K Gold Plate. 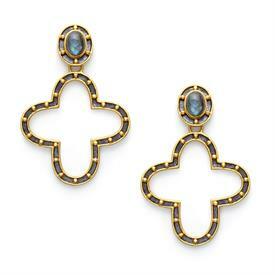 2"
,Caspian Collection Statement Earring In Mixed Metal & Labradorite. 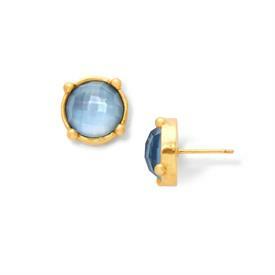 24K Gold Plated Studs On A Metal Quatrefoil With Labradorite. 2.25"
,Chalcedony Blue 6-Stone Bangle Bracelet. 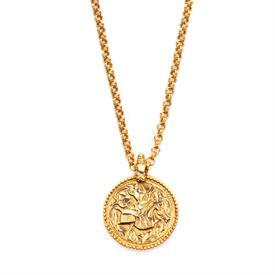 Lightly Hammered 24K Gold Plate Embellished With Sparkling Glass Gemstones. Medium, 8"
,Pearl Hoop Earrings. 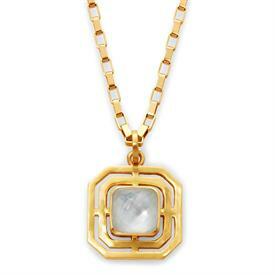 24K Gold Plate Glossy Diamond Patterned Around Pearl. 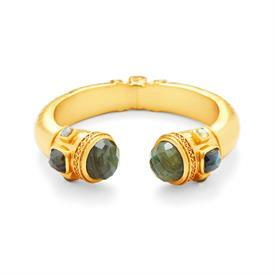 1.5"
,Hinged Cuff Bracelet In Labradorite. 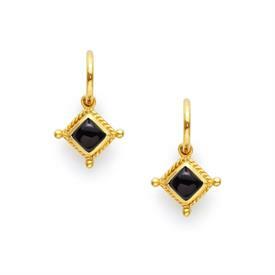 Faceted Gemstones Set In Lightly Hammered & Beaded 24K Gold Plate. Hinged To Fit All Wrists. 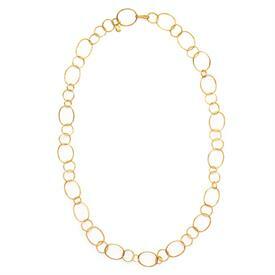 ,Colette Necklace. Delightfully Lengthy & Lightweight 24K Gold Plated Etched Loops Of Varying Sizes. 36"
,Byzantine Earring. 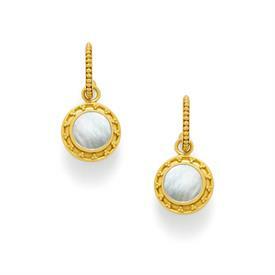 Removable Bell Shaped Shell Pearl Charm Decorated With 24K Gold Plated Diamonds & Beads On A Beaded Hoop. 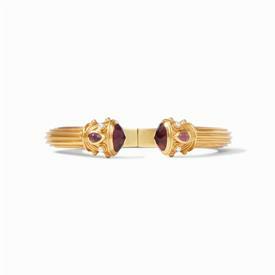 1.5"
,Amethyst Purple & Freshwater Pearl Demi Hinge Cuff. 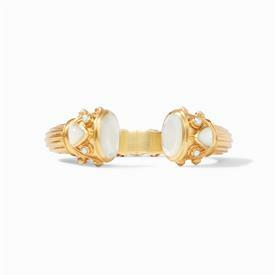 Faceted Gemstone Endcaps Accented With Pearls In 24K Gold Plate. Fits All Wrists. ,Large Link Bracelet. Lightly Hammered 24K Gold Plated Links With A Freshwater Pearl Decorated Toggle. 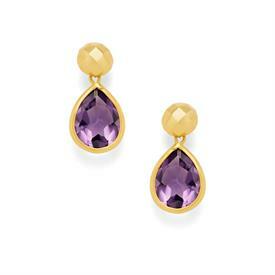 8.75"
,Statement Earrings In Zircon. 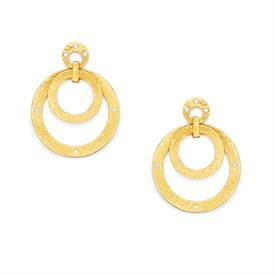 Lightly Hammered Interlocking 24K Gold Plate Circles With Gemstone Accents. 2" Long. 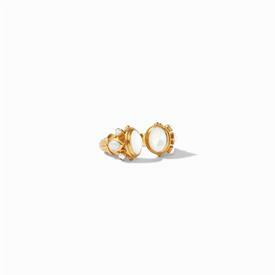 ,Mother Of Pearl & Pearl Sofia Earring. Richly Decorated Reversible 24K Gold Plate Charms Suspended From Beaded Hoops. 1.5"
,Valencia Stone Hoop Drop On Black Onyx. 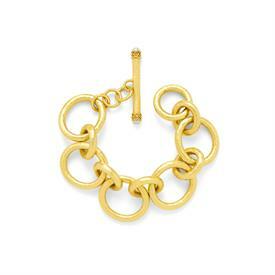 Diamond Shaped Cabochon In A 24K Gold Plated Frame Suspended From A Lightly Hammered Hoop. 1.35"